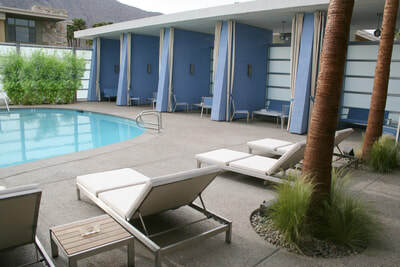 Built as a hotel in 1948, the remodel creates a strong sense of community. This is accomplished with a network of open spaces and circulation, that together facilitate access and shared activity. 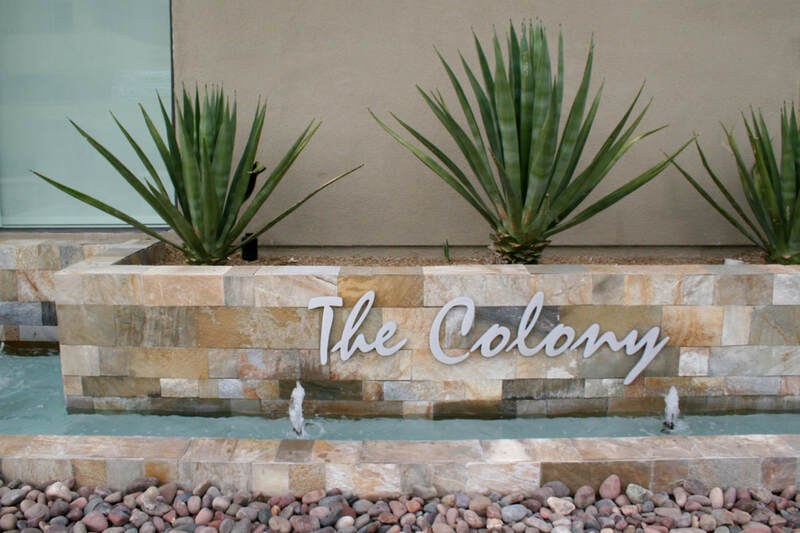 A main interior roadway provides an unobstructed path, while also serving as a plaza for colony gatherings. 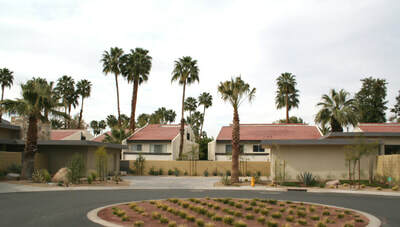 A rhythmic pattern of decorative paving along the roadway provides a bold visual effect, while shade trees offer much needed respite from the desert sun. 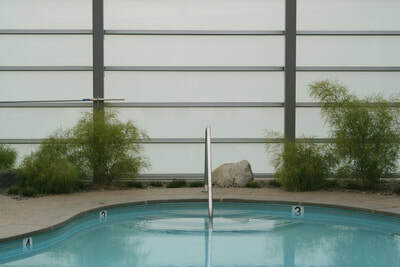 In addition to communal greens, amenities such as swimming pools, shade structures, and outdoor kitchens are found in common areas. 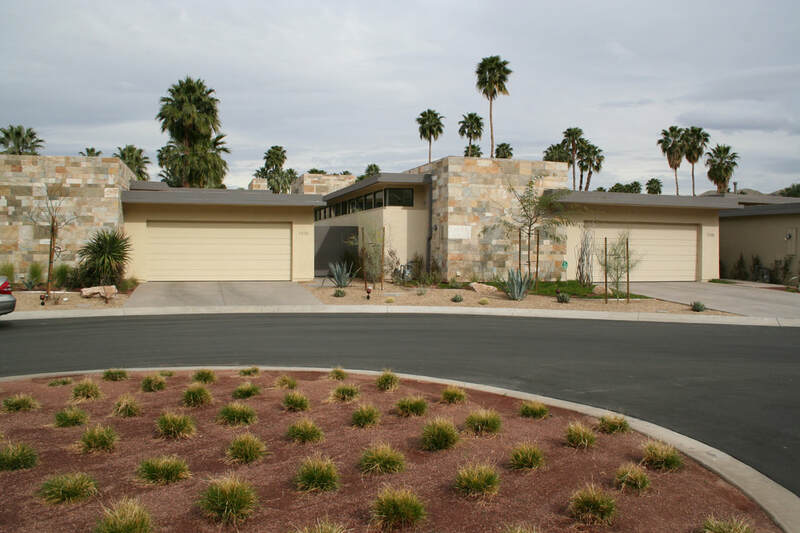 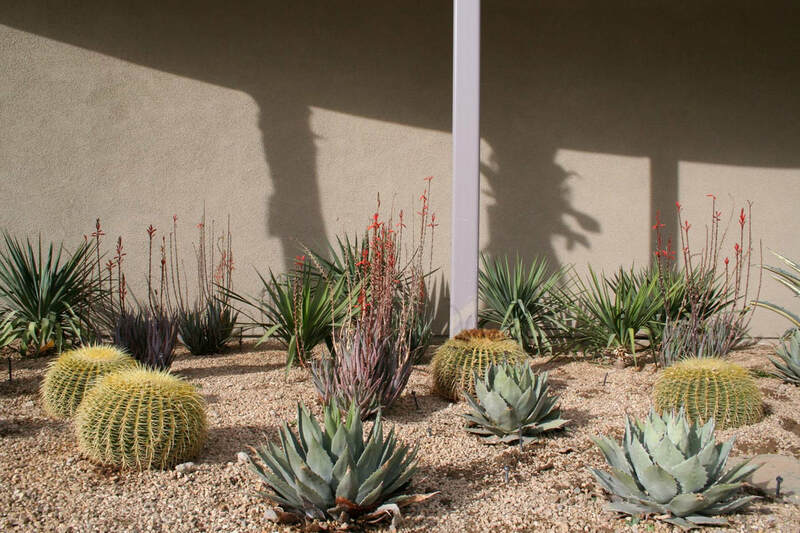 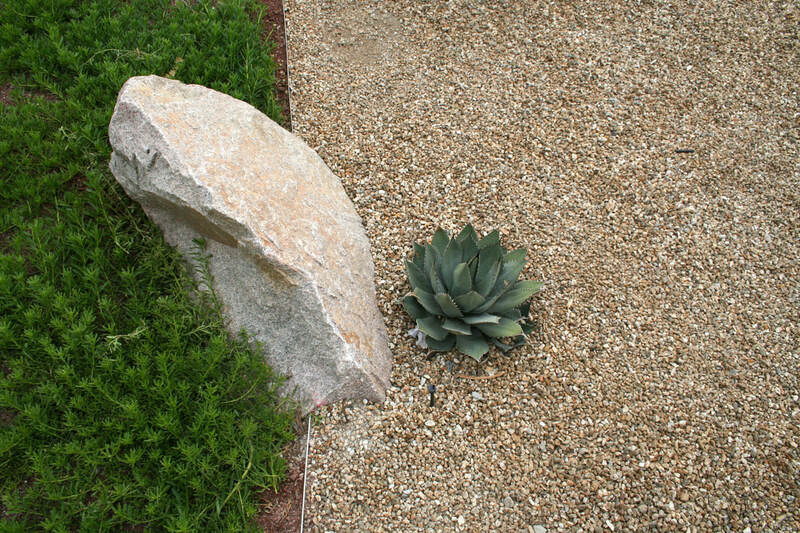 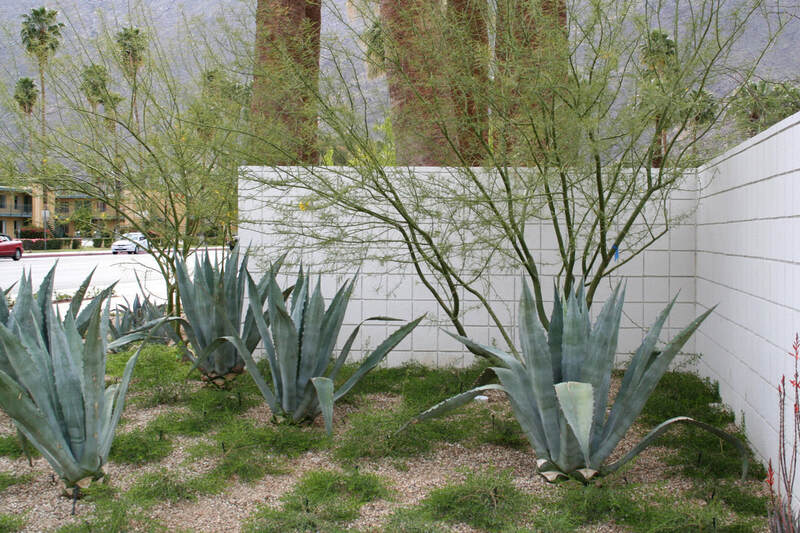 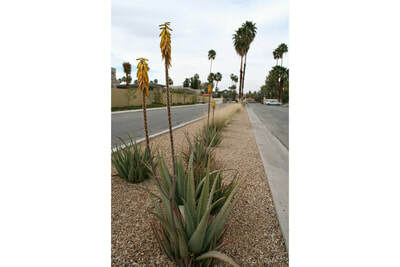 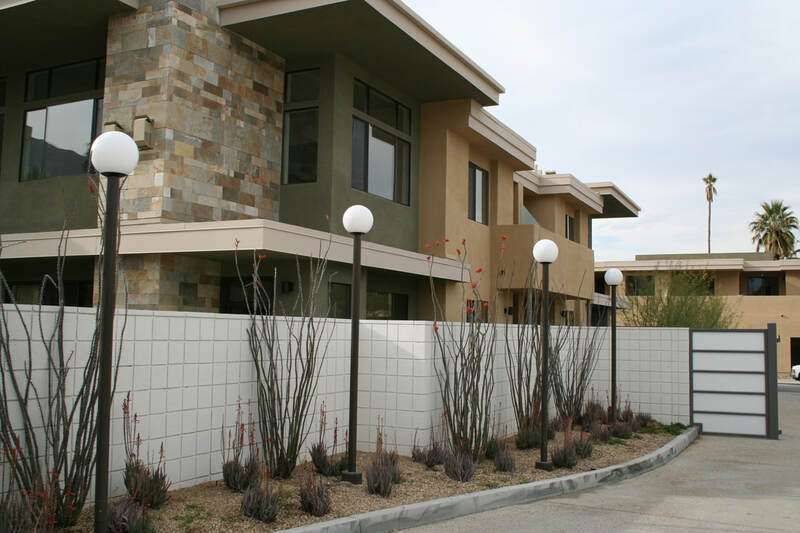 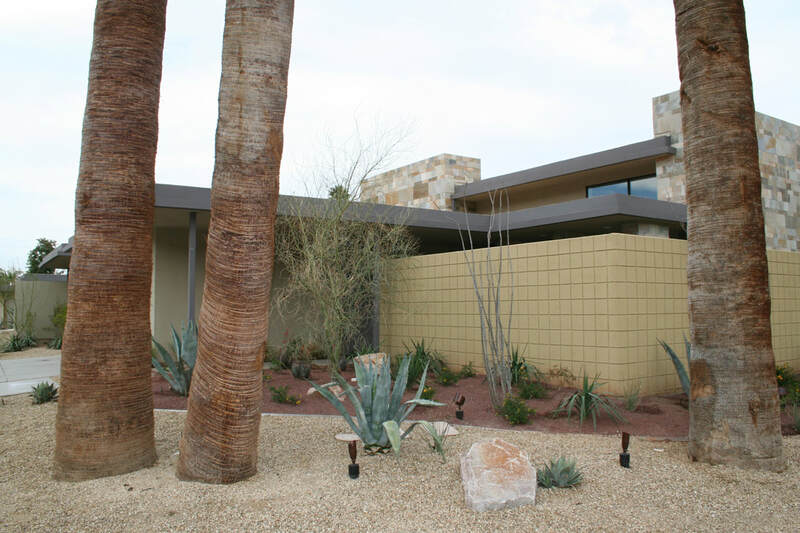 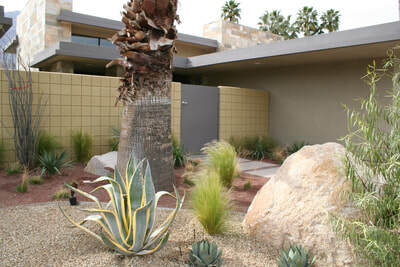 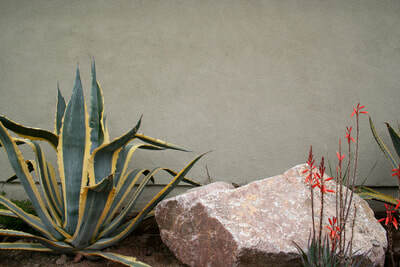 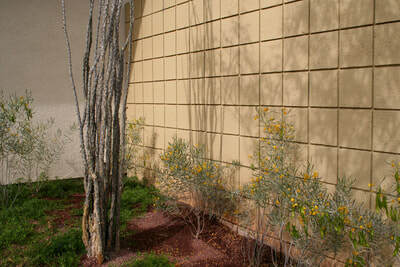 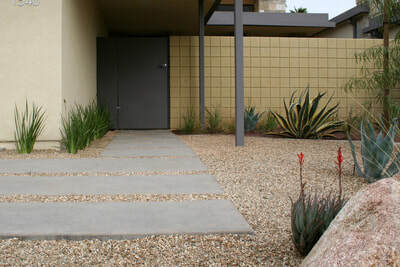 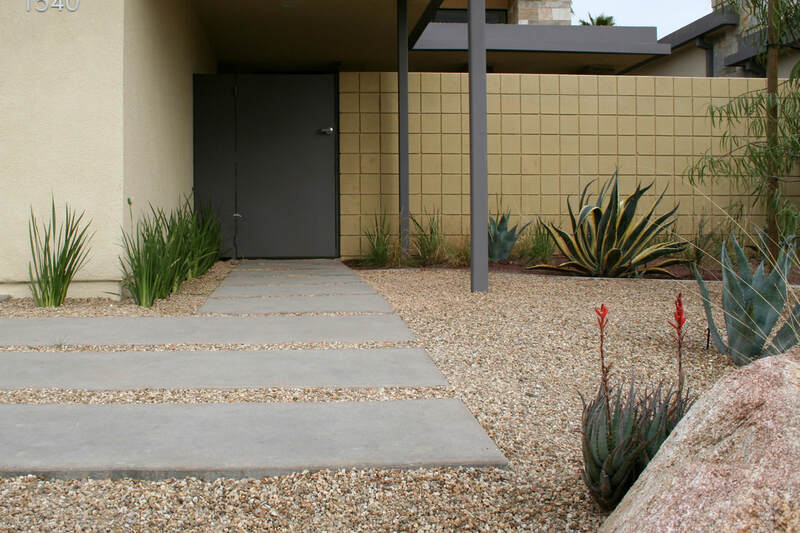 The use of a drought-tolerant plant palette reflects sensitivity to the desert location and the need for low maintenance. Existing palms are incorporated into the design, their columnar form establishing rhythm and cohesion. 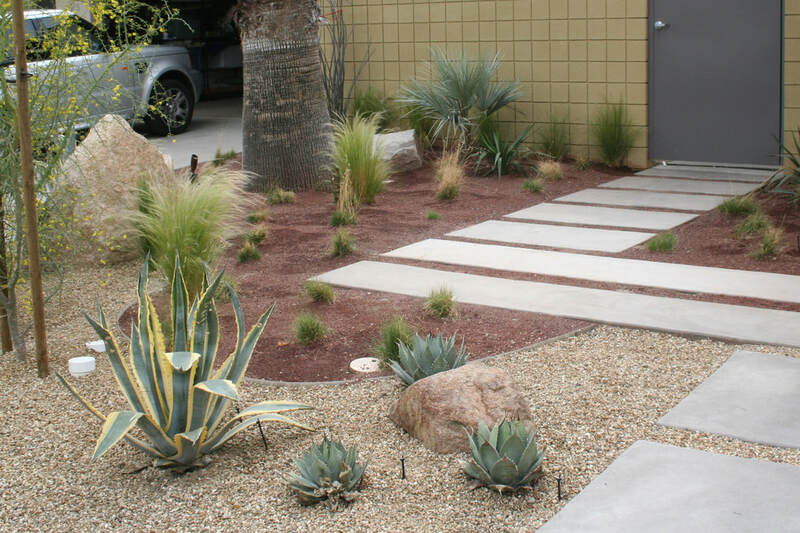 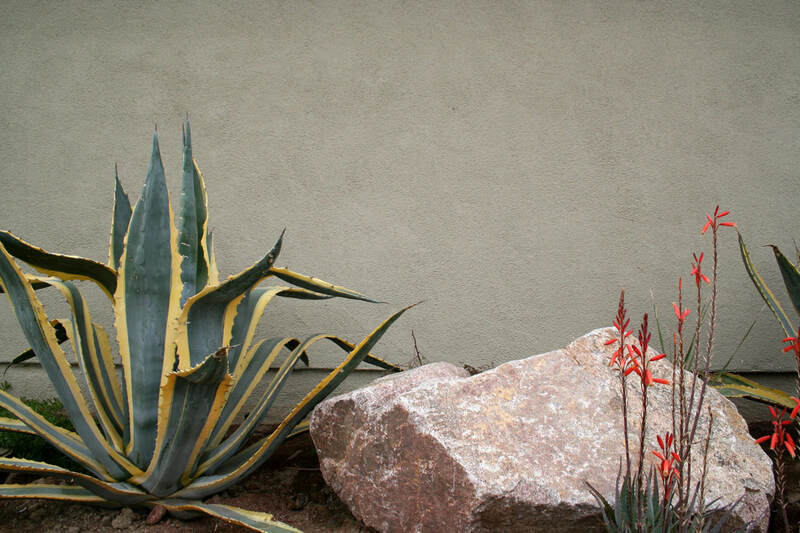 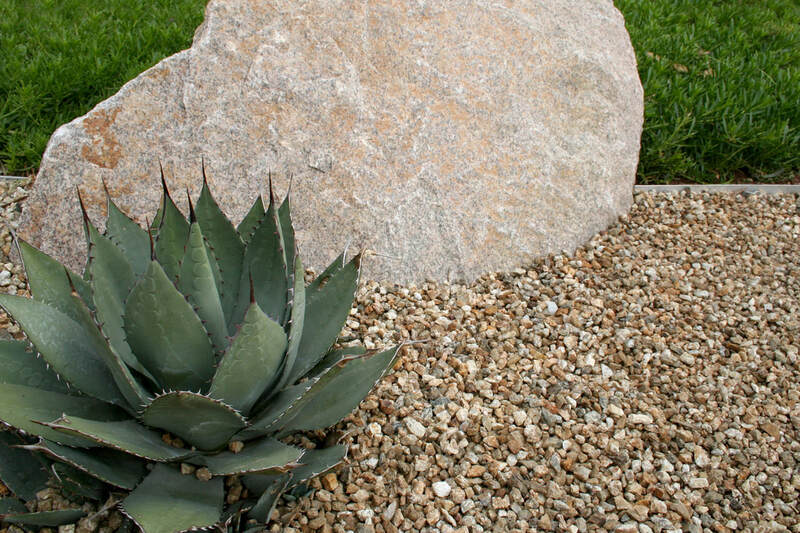 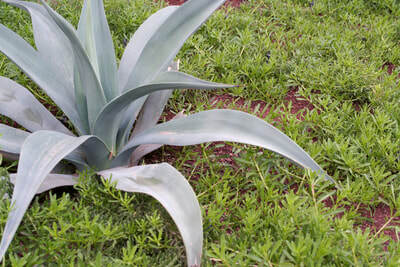 Common areas are planted with masses of sculptural agaves, aloes, grasses and shrubs, while the use of rocks, pebbles and decomposed granite adds detailed textural interest.